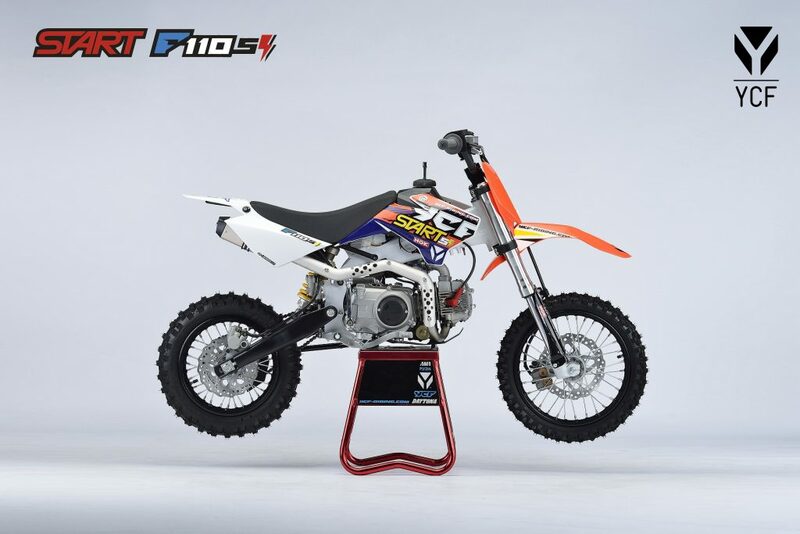 The Start F110SE is the ultimate 110! Featuring electric and kick start, solid 660mm USD front forks with CNC triple clamps, an adjustable rear shock and powerful disc brakes the Start F110SE will handle everything from a novice to an advanced rider putting it through its paces. Designed to suit Australian conditions it comes standard with an air box for ease of maintenance.